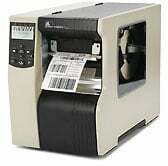 Zebra 140Xi4 - Thermal transfer Industrial Printer (203 dpi, Ethernet, USB, Serial (RS-232), and Parallel interfaces, 5" max print width, 64MB Flash, Rewinder and Peeler, Clear Media Side Door & Media Hanger). Includes power supply. Cables sold separately. See accessories. Built on the proven Xi series platform that is known for rugged durability and performance, the new Zebra 140Xi4 features a 5.0" print width and brings several additional features to high-volume, mission-critical applications and environments that require 24 x 7 operations. 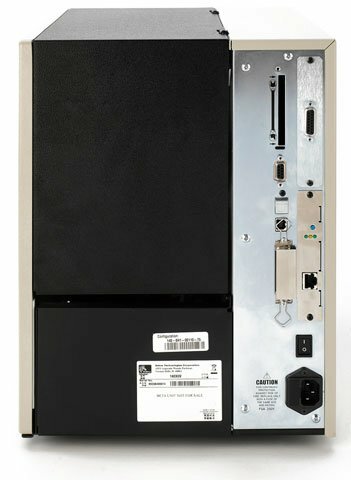 Building on these high-performance hallmarks, the 140Xi4 now provides several new features and benefits including increased print speeds up to 14"/356 mm per second for increased batch and print/apply productivity, LCD content customizable to user needs, a large, easy to use, multilingual LCD screen, flexible connectivity options including simultaneous parallel/Ethernet with internal Ethernet included as standard in the product advanced ribbon- and media-low LCD/e-mail alerts and an intelligent printhead system. The Zebra 140-801-00210 is also known as ZEB-14080100210	or 14080100210	.